Gush #1. This supposedly is a medium- to full- coverage job. I have found it's a "light medium", buildable to "heavy, almost but not quite full". It's a different kind of "almost full" coverage though. It manages to be an "almost full" while feeling like "absolutely nothing" on your face. Genuinely so. I think that kittens' breath would feel like an elephant stomping across my face in comparison. I don't feel this on my face. I don't feel it at all. It's amazing. In addition, even though I genuinely use only an average amount of this on my face, it manages to diffuse the light and give the appearance of covering over redness and darkness without caking or any need for plastering it on. When I use this, with each successive day, I use slightly less of it. When I use this, I use a far lighter concealer and corrector (MAC Select Coverup instead of Bobbi Brown - both are brilliant, but suffice it to say, the Bobbi Brown is leagues more heavy, creamy and, for me in the past, necessary - but not with this foundation). It's genuine, actual, serious, magic. Gush #2. This has, single-handedly, got the most amazingly beautiful finish I've ever seen on any foundation. It's luminous without being dewy (as I get older, I do tire of the dewy thing). It looks like your skin has a light shining from inside it. It has a wonderfully "your skin but airbrushed into submission" finish to it. Alright - let's get technical: it's a luminous satin finish. Or, as I like to think of it, hazy-sunshine soft-focus fairy dust finish. It's not a long-wear one, but I'll get a standard eight hours out of this and it'll still look amazing. At that point, it will start to fade a bit. On me, I've found that it fades more or less uniformly. I haven't found this to oxidise at all. What it looks like in the jar is what you put on is what you get. Being picky? I'd love if this were a bit longer wear. Then it'd be the Foundation To End All Other Foundations. Gush #3. There are fourteen shades available across a number of different undertones, ranging from very pale (Porcelain) to medium-dark (Carob). I am using Chamomile, and it's absolutely perfect for my NC23-ish skin. It has a golden-veering-towards-but-not-quite-getting-there-peach undertone. For me, for my sallow-but-grey-at-this-time-of-the-year-skin, I need something with a bit of life in it, and I'm naturally using some peach and coral-based correctors to give a bit of life back to my corpse-grey-sallow-mix-skintone right now, and with this shade, I don't need to do that. Most of the undertones are subtle enough, we're not talking very yellow or very pink, there are golden, pale yellow, pink, peach, Good stuff. This is a supposedly gel-based foundation, the ingredients sees water listed first, then a serious amount of silicones and silica. Following on from the silicone-fest are the skincare ingredients - a bunch of plant extracts, arnica, rice bran extract, seaweed extract, green tea, aloe, chamomile), then finally parabens (hmmm), SPF ingredients, and finishing up with talc (surprised to see that in there actually, but I think it was last or second-last on the list). Despite the large volume of silicones, however, it doesn't feel silicone-y. That silky "slip" you get isn't evident. It does feel like a lightweight gel-cream hybrid. I would think normal, normal-to-dry, normal-to-slightly-oily, combination. It's not going to suit very dry skin (due to high volume of silicones). Nor will it suit very oily skin (for similar reasons actually). So far I've used this on me, an older lady with more mature skin, and a slightly younger lassie. Result was the same in all cases. It really is a magical mystical foundation. A bog-standard flat paddle brush. Or a fluffy foundation (buffing-type) brush, especially/more so if it's natural fibre. Or fingers work fine too. I wasn't mad about this with a sponge. A stippling (dual fibre) brush is just a little too insubstantial for this one. You don't need a primer with this one, incidentally. Wearing it on top of a primer doesn't really do much for it either. Let's deal with SPF first. This contains a mechanical SPF (titanium dioxide). In theory, it should flashback. The reality is, I haven't found it to. Not sure why. 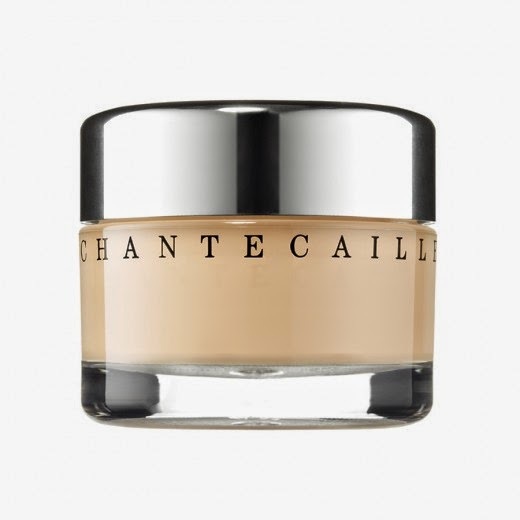 Chantecaille claim that they use some unusual (round-) shaped pigments, perhaps this is the reason for lack-of-flash-back-age. Not sure. All I know is that it doesn't. And now, the pachyderm in the room. The price. It's expensive. Oh how I wish it weren't so damned expensive. It'll set you back "around" the €80 mark. Even dearer than the Trish McEvoy one I tried out. Ouch. I obtained an extremely generous-sized sample that I've been making my way through. 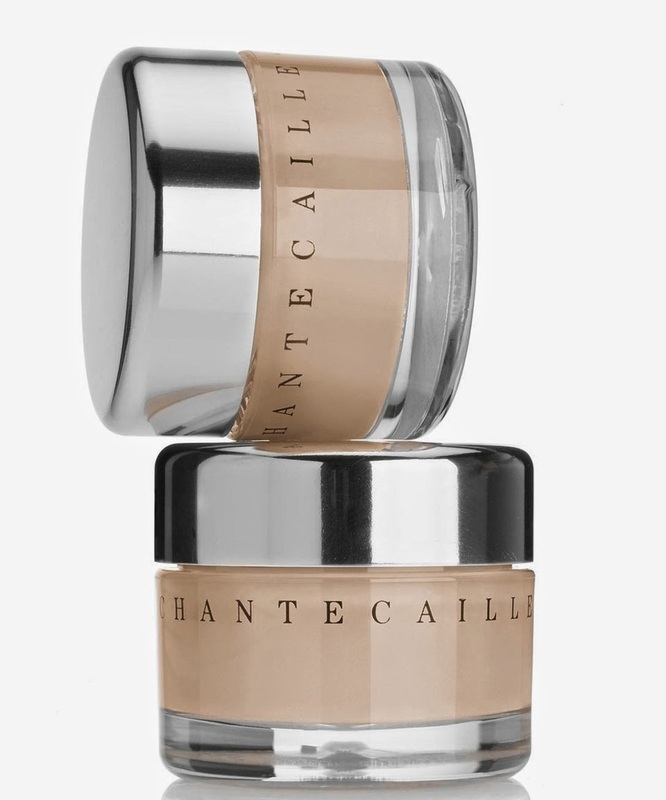 You can get this from Harvey Nichols (Space NK concession) in Dublin.